Unique car washing tools are what separate the men from the boys. With our famous “Incredi” material, you receive a true Microfiber Madness invention. This 100% Made in Germany fabric is especially made to fit our car care requirements regarding water absorption, scratch safety and gliding abilities. Any of our washing products are made here in Germany with a lot of passion and hard work. The complete range was created from scratch with small but great innovations. 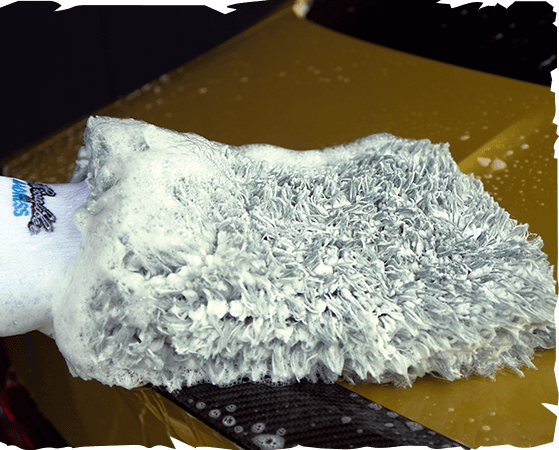 We offer a wide range of washing products so you are able to find the weapon of your choice, no matter if you prefer a modern wash mitt or if you are a traditional sponge user.